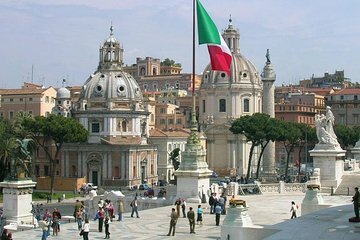 Explore Rome’s historic city center and Vatican City on this half-day walking tour. See famous landmarks like the Trevi Fountain, Piazza Navona, the Pantheon, and more. Then head to Vatican City and skip the long lines to dive right into the history and artifacts of the Vatican museums including the Tapestry Gallery and the Belvedere Courtyard, Michelangelo’s Sistine Chapel, and St. Peter’s Basilica.